These Breakfast Egg Muffins come together quickly and are a great make-ahead breakfast for busy mornings. 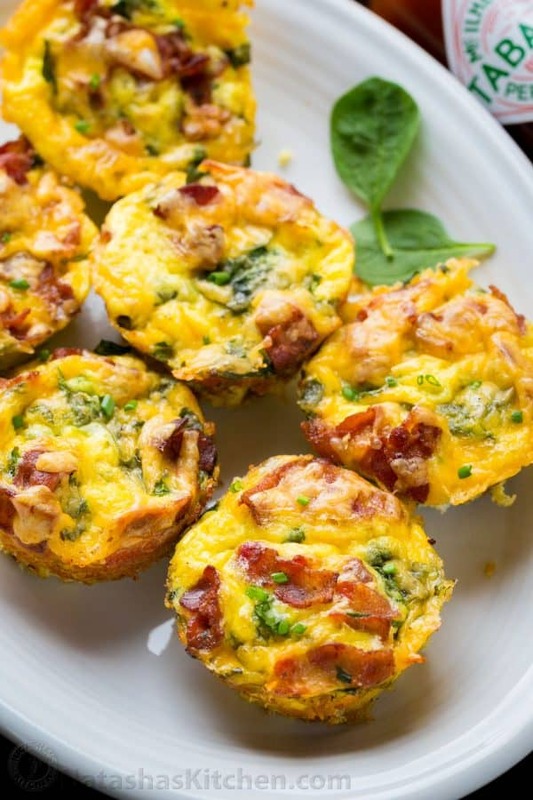 They are hearty and loaded with fluffy eggs, potato, spinach, melted cheese and crisp bites of bacon. 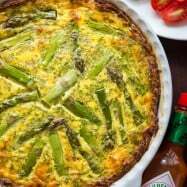 Eggs are a breakfast favorite in our house – they are protein packed and a great way to start your day. 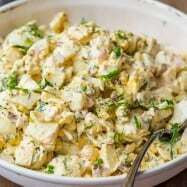 These are a fun twist on your regular scrambled eggs. 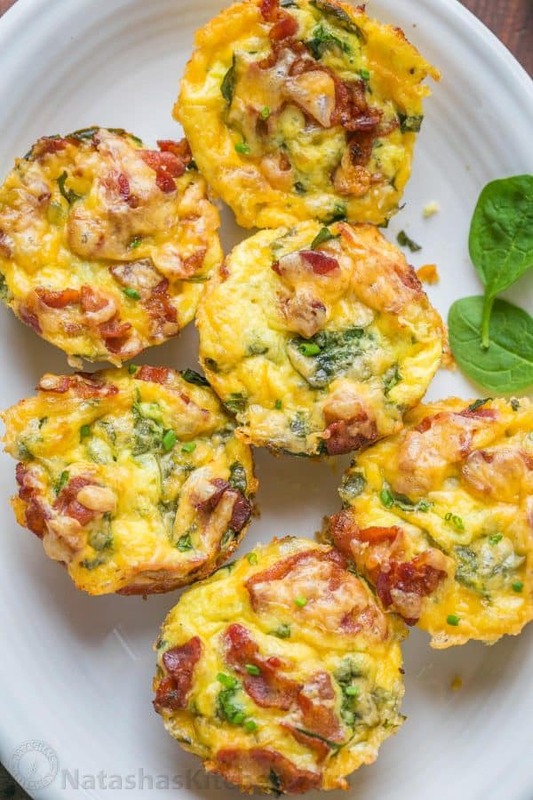 These egg muffins are wonderful fresh out of the oven but they can also be made ahead and refrigerated up to 5 days or frozen (see freezing and reheating instructions below). We love a good make-ahead breakfast to jump start our day. 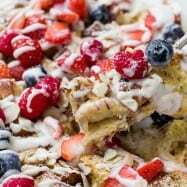 Some of our favorites make ahead breakfasts are breakfast burritos, these Egg, Ham and Cheese Crepes or French Toast Casserole. black olives,… the possibilities are endless! 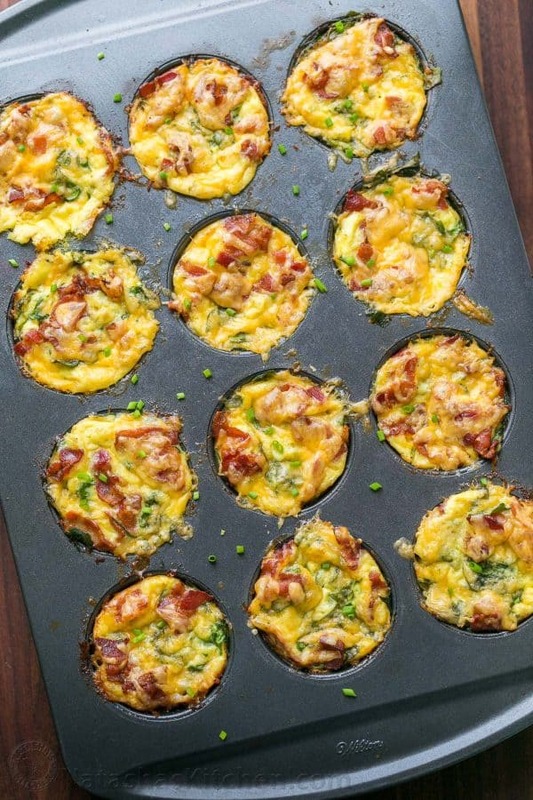 Cool egg muffins completely then cover and refrigerate up to 5 days or place muffins in a freezer bag and freeze up to 3 months. To reheat: microwave frozen muffins for 80-90 seconds, or until hot. Microwave refrigerated muffins for 20-25 seconds. Silicone muffin liners are best because they release the egg muffins easily, clean up quickly and you don’t need to grease them. Avoid paper liners as they are difficult to remove from baked muffins. If silicone liners are not available, generously spray muffin tin with cooking spray. There really is nothing to it! 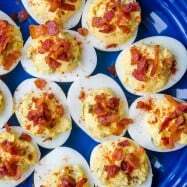 These are family friendly and picky eater approved. I hope they make your mornings a little more exciting! Preheat Oven to 375˚F. Oil a 12-count non-stick muffin tin, or preferably line with silicone muffin liners. 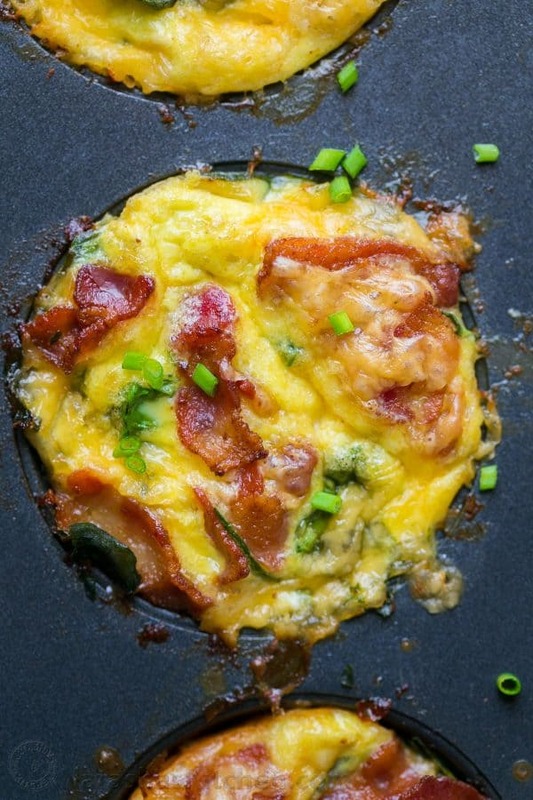 Place a large non-stick skillet over medium heat and sauté 6 oz bacon until browned (6-8 min). Transfer to a plate. Discard excess oil keeping 2-3 Tbsp in the pan. In the same pan, sauté finely chopped onion until softened (2 min). Meanwhile grate potato on the large holes of a box grater. Use your hands to squeeze out as much water as you can from potatoes then pat dry with paper towels. Once onions are softened, add grated potato to the skillet with onions. Sauté stirring a few times until potatoes are golden and nearly cooked through (7 mins). Remove from heat and let cool slightly. 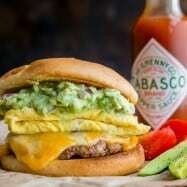 In a medium bowl, whisk together 8 eggs, 1/2 cup half and half and 2 tsp Tabasco sauce. Stir in sautéed potatoes, chopped spinach and 1 cup cheese. Distribute mixture evenly among a 12 count muffin tin. Sprinkle tops with bacon then top with remaining cheese. Bake at 375˚F for 22-23 min or until puffed and lightly browned and a toothpick inserted in the center comes out fairly clean. Cool a few minutes in the pan then serve. Hi, Natasha! Being one to “think outside the box”, I have a suggestion for you to use for your potatoes. I use this for my shredded zucchini all the time. I line my salad spinner with paper towels. Bingo! All the water is gone instantly! Plus you don’t have to dirty kitchen towels in the process. Natasha, here is a variation on your theme that I created. Prep? What prep? Throw it all in a bowl, mix it up, pop it into you well greased muffin tin and bake for 20-25 minutes. So light and fluffy, freezes and reheats beautifully. My kids did not find them spicey at all. I would actually add more Tabasco next time! Yes! Definitely on make again list! It’s delicious and fun size. Thank you! Hi Natasha, is this receipe wont be spicy ? My kids dont like spicy food. I will definitely make this breakfast again and very often! Better yet, I will pre-cook the bacon, onion and potatoes the night before so I can quickly mix them with the egg mixture the next morning and ready to bake (with silicon liners for sure…). 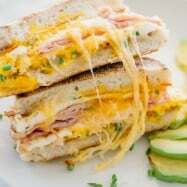 I just couldn’t wait to tell you: Thank you so much for sharing this wonderful tasty and healthy recipe!